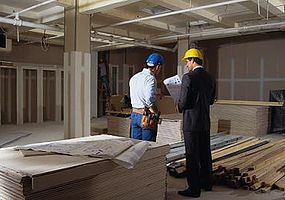 Are you looking for a company to provide commercial tenant improvements in Las Vegas, NV? Commercial tenant and real estate improvements can increase the value of your commercial property and are necessary if you want to make changes the flooring and mechanical or plumbing systems. A space may also need minor modifications such as paint job or restoration services if it was occupied by a former tenant. If you own a commercial building or retail space, Logistical Solutions can help you create the ideal space in order to maximize your occupancy and revenue. Our professional staff and design team will work with you in order to create the space and ambiance most suitable for your business and goals. It is our goal to provide efficient service while making sure that all adhering to all regulatory and building codes. Commercial tenant improvements may include removing partitions and walls in order to crate more open spaces, adding in partitions in order to create a warmer ambiance and updating plumbing systems and power outlets. If you have an office building we can create more office stations or remove partitions for a more open work space. If you’re a retail business we can help you improve your overall layout and design in order to attract more customers and sales. We can improve the ambiance of your restaurant with the use of lighting, color and texture. Our commercial tenant improvement services are designed to improve your bottom line. Contact us for a free consultation if you are interested in more information about our commercial tenant improvement services in Las Vegas, NV.